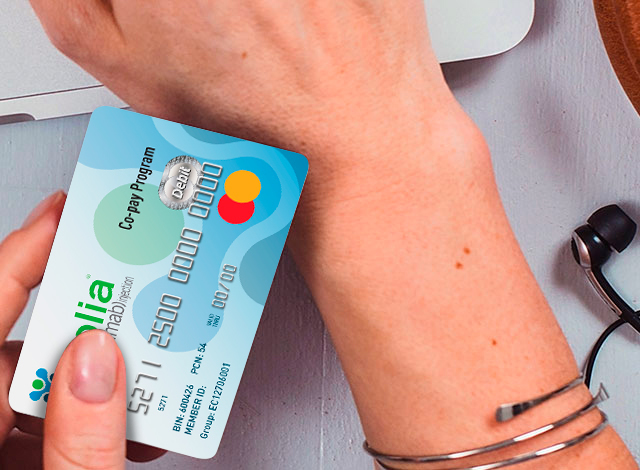 Can I use my Prolia® Co-pay Card for Prolia®-related office visits? Yes, the Prolia® Co-pay Program MasterCard® can be used at pharmacies. Simply provide the RxBIN number and member ID that is printed on the card when filling your prescription. Amgen Assist® can refer patients, as a courtesy, to independent co-pay foundations. Provided through independent charitable patient assistance programs, eligibility in these foundation programs is based on criteria established by the charity. Amgen has no control over independent, third-party programs. For more information, contact Amgen Assist® at 1-866-264-2778. Why do I need to provide the last 4 digits of my Social Security Number to enroll? We need this information in order to confirm that you are not in a government-funded healthcare program. Your information will only be used to verify this information and will not be used for any other purpose. Yes, you must re-enroll on a yearly basis. You will be sent a letter reminding you to re-enroll. This letter will have a verification code on it that you will use to re-enroll on this site.